With Sunday’s win, the 51s will finish at least .500 in the 2018 season. Just when it looked like all the momentum had shifted to Sacramento on Sunday night, the Las Vegas offense, which hadn’t managed to do much since the third inning, woke up. The River Cats hit a two-run blast to tie the game up in the eighth inning and second baseman Luis Guillorme was thrown out to begin the eighth trying to stretch a double to a triple. 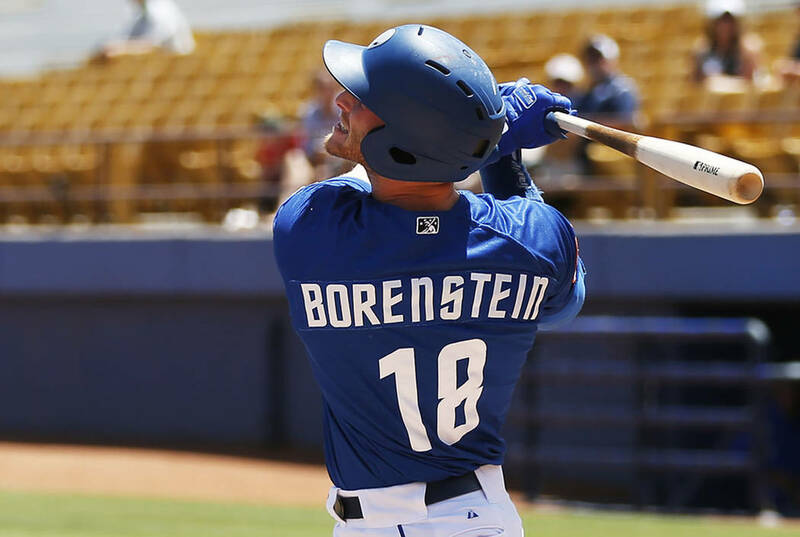 But the 51s were still able to put up three runs in the inning with Zach Borenstein’s double giving them the go-ahead run. Patrick Kivlehan gave them a pair of insurance runs with his 20th home run of the season in a 5-3 victory over Sacramento on Sunday night at Cashman Field. Before that, it had been a pitchers’ duel as Drew Gagnon tossed one of his best starts of the year. Gagnon threw 7⅔ innings and left the game with a two-run lead with a runner on base. That run quickly scored off lefty Kyle Regnault, who was brought in to retire lefty Ryder Jones. Instead he served up the two-run shot and the River Cats (55-84) tied it up. So Gagnon, who pitched well, left with no win to show for it, though he did earn himself something even better — a trip to New York. While Gagnon was dealing, the offense had been mostly silenced since the third inning when the 51s (70-69) scored on a Jack Reinheimer solo shot and a Bryce Brentz RBI double. With the three runs in the eighth inning, the 51s not only won the game but ensured that they would finish the season at least .500 after being 14 games under in mid-June. More 51s: Follow all of our 51s coverage online at reviewjournal.com/51s and @RJ_Sports on Twitter.